Can acupressure help reduce headaches? Headaches can be caused by tension in the muscles of the head and neck areas. This tension can constrict blood supply to the nerves in the brain, causing pain and discomfort. From the viewpoint of Chinese medicine, the cause of headaches does not stop at the muscular tension. We must look under the tension to discover the hidden stress and repressed emotions that are bottled up inside of us. Too often, we stuff these emotions deep down within us, and they end up throbbing to the surface as a painful headache or some other form of pain. Acupressure is an effective technique as relieving this emotional stress by balancing the energy flow throughout the body. When energy is balanced, negative emotions tend to fade away. And with our negative emotions gone, the stress underlying our headaches and migraines tends to disappear as well. Some individuals find success in getting rid of headaches and migraines in just a few minutes by using the appropriate acupressure points. We'll discuss these points below. 1. Gallbladder 20, on the back of your head, just below the bottom of the skull. This acupressure point will help relieve headaches and migraines. It is also effective at reducing dizziness, stiffness in the neck, and neck pain. The point here can also be used for helping improve neurological coordination of the muscles. Finally, this point is good for reducing eye strain, relieving arthritis throughout the body, and reducing emotional stress and irritability. 2. Governing Vessel 16, on the back of the head, in the center of your head, in the hollow area under the skull. 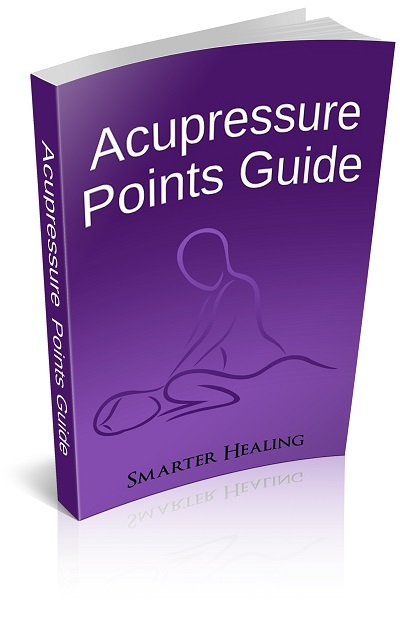 This acupressure point will relieve pain in your eyes, ears, nose, and throat. This pressure point is also effective at relieving all manner of mental (psychological) problems. It will also help heal headaches and vertigo, and reduce stiffness in the neck. 3. 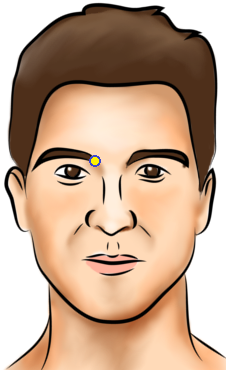 Bladder 2, on the front of the face, on the inside edge of the eyebrow. Using this pressure point will especially help relieve eye pain and eye fatigue. It will also help reduce headaches, hay fever, and sinus pain. 4. Governing Vessel 24.5 (between GV24 and GV25), directly between your eyebrows. Using this point will help balance your pituitary gland, which has a large range of health benefits. This point will also help relieve your hay fever and headaches. Finally, this acupressure point is also useful for relieving ulcer pain, indigestion, and eye strain. 5. Stomach 3, on the cheekbone, below the eye. This acupressure point helps promote healing of the eyes. It will restore your eye from fatigue, and help reduce sinus pressure felt around the eyes. This point also helps reduce nasal and head congestion in general. Finally, it helps reduce eye strain, and even promotes the healing of toothaches. 6. Large Intestine 4, on the hand, in the webbing found between the thumb and index finger. Warning: Pregnant women should not use this point. It can cause premature contractions in the uterus. This point will help relieve headaches, especially ones focused in the front of your head. It will also reduce toothaches, shoulder pain, and pain during childbirth. 7. Liver 3, on the top of the foot, found in the valley between the bones of the big toe and the second toe. This point may relieve foot cramps. It will also help reduce headaches, eye fatigue, and allergies. Finally, some people use it to treat hangovers, and even arthritis pain. 8. Gallbladder 41, found on the top of the foot, slightly above the webbing of the smallest and second smallest toe, in the valley between the bones of these two toes. 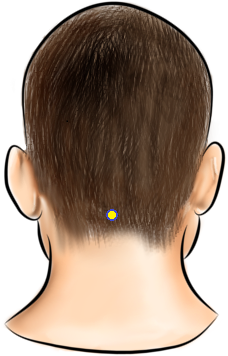 This final acupressure point for headaches and migraines will reduce headache intensity. It also treats a large manner of other issues, such as hip pain, shoulder tension, and arthritis-caused pain across the body. Finally, it also helps fix excess water retention in the body, and even promotes healing of sciatica.